Happy June! Hard to believe that summer is here, though not officially, and most schools are out or close to it. Wow, this year is whizzing on by! Does it feel that way to y'all, too? Let's get on to the party. So much talent shared last week and here are just a few features. 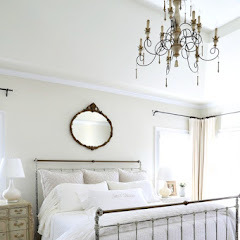 Anita of Far Above Rubies has thought of every pretty vintage detail in this pretty BEDROOM MAKEOVER. This set of VINTAGE LOCKERS that the 2 Vintage Sisters found are so perfect for filling this wall. 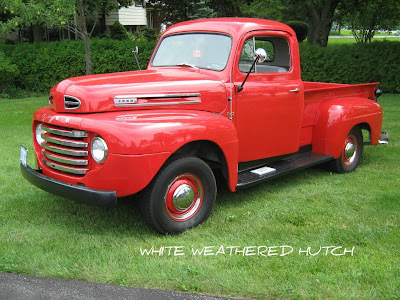 White Weathered Hutch has the best RED TRUCK for antiquing. Summer means gardening and tomatoes are the one thing I love for us to plant. Do you know your tomato plants? 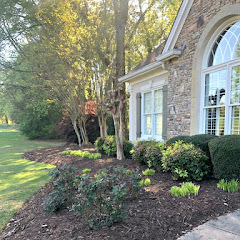 Find out more from a master gardener at MY 1929 CHARMER. Isn't this a beautiful TABLETOP? You must see how this was made stick by stick at The Coastal Colonial. Yvonne at Stone Gable shared her CUTE APRONS and if they could talk. 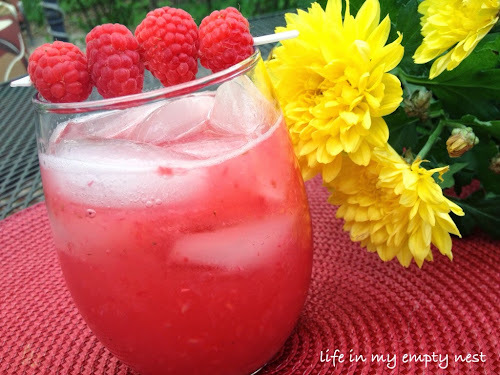 This SKINNY RASPBERRY MARGARITA sure looks like a fun summer drink by Life In My Empty Nest. 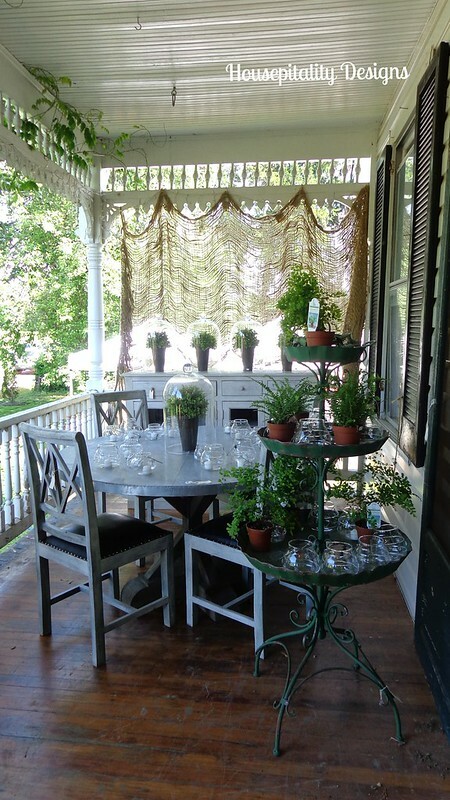 The most viewed link was the LUCKETTS DESIGN HOUSE TOUR shared by Housepitality Designs. Thanks to everyone who joined and if you were featured please grab a featured button from my sidebar. Now let's get on with this party! 3. Please be a follower of this blog through GFC, fb, Pinterest or Twitter. Such a great party. Thanks so much for hosting. Great features Kim,thanks so much for hosting! Thanks for hosting Kim, Happy June to you! Hi Kim thanks for hosting ; just an FYI / your link host has changed something...it would not accept most of my images saying they were too big. Absolutely! I feel like somebody put the accelerator button on this year. Wow! It's gone by fast. I love the variety of features this week, Kim! What an inspiring group! Hope your weather is fantastic...we had a perfect day here in Michigan! Yay!! Thanks so much for the party Kim! I am totally in LOVE with that red vintage truck!!! Heading over to check it out now!!! Wishing you a wonderful week!!! I love all the summer-y inspiration! Thanks for hosting Kim! Thanx for the party Kim! Fab features. Anita's bedroom is gorgeous! Great features! I love your party each week, Kim. Thanks for hosting! Love the features, Kim! Thanks so much for hosting! 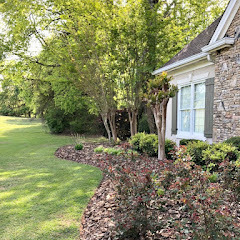 Great features...I so enjoy browsing through the many links of beauty and creativity!...Glad that many enjoyed the Lucketts Design House....Thanks for hosting Kim!!! Thanks so much for hosting! The year sure does feel like it is whizzing by....kind of fun and kind of wish it would slow down. I get here right at 7 and there's like, already 30 link-ups. How does that happen? LOL. Everyone is sitting around hitting refresh on their browsers until your party shows up! Myself included!! 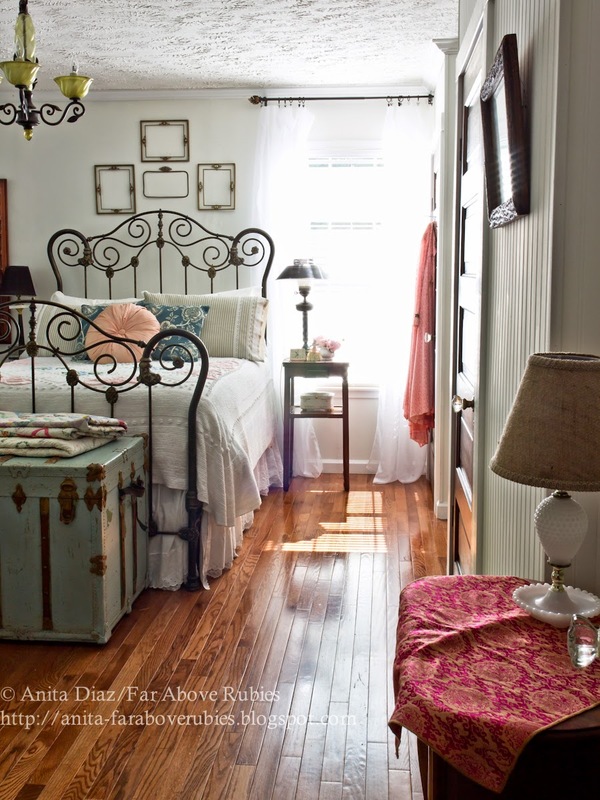 :) Well, Anita's bedroom is to-die-for and that truck ... I want it!! No, I need it!! And no, I haven't been drinking wine, I'm just in a good mood tonight. Thanks so much for hosting, Kim. Looks like a lot of good stuff so I'm gonna be here awhile. Oh my gosh - the features are just amazing ! Wow Kim, THANK you for the feature:-) Thanks for hosting every week!! Yes! Time seems to be going way too fast for me! I wake up and the next thing I know it's noon! Love the features - I'll have to show that truck to Dearest! Thanks so much for hosting, Kim. Have a wonderful week! Thank you Kim! Love that red truck! Wonderful features as always....thanks for hosting! Love the features! Tons of creativity out there :) Thanks for hosting. Yes, this year is flying by! Thank you for hosting! Always, thank you for hosting. And yes, time's flying! Seems like just a blink ago I was putting away Christmas and promising myself I'd be better organized this year! Fantastic features and party, Kim. Thanks for hosting each week. Happy Month of June! Hi Kim! Thank you for another wonderful party this week. 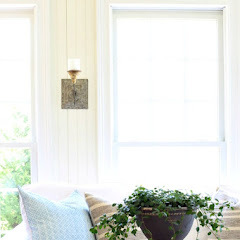 I'm so excited to share my kitchen redo this week! Lovely features Kim, my husband would love that red truck. Thanks for hosting. All of your features are great...but that red truck and the skinny margarita are tugging at me. I won't be able to have that cute truck...but I think I can make that drink happen. Looks like a great summer one. Thanks for hosting fun parties. Wow! 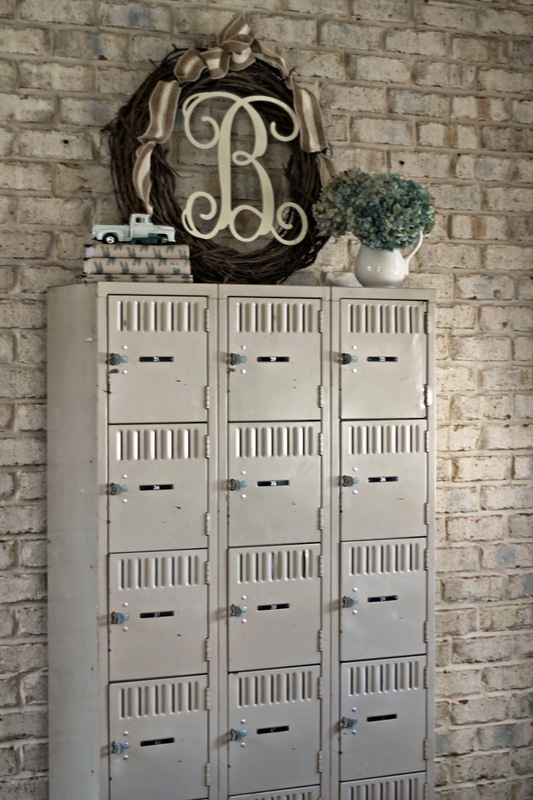 Love those vintage lockers! Thanks so much Kim! I'm with you. The time goes crazy fast. Especially this time of year! Have a great week! 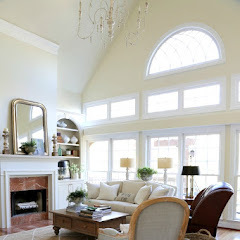 Loved Shirley's design house tour! thanks so much for hosting, Kim! Thanks for hosting and for highlighting my post on Knowing your tomatoes. I would of been to the party sooner, but I was outside in my garden! So much to do, so much to do! Yes, time seems to fly by, but I am enjoying every moment of it. I love that red truck!! I want that red truck! I can see it loaded with vintage goodies. Thanks for a great party. Great features! I love that gorgeous front porch! Thanks for hosting, Kim. 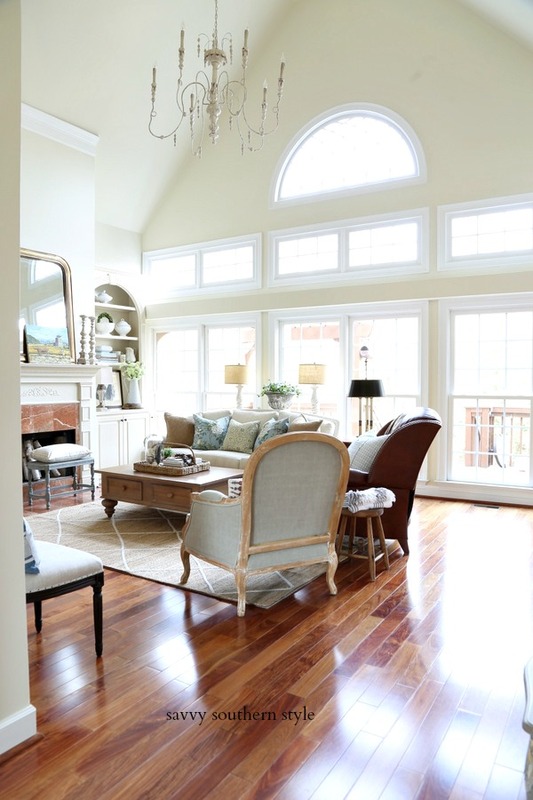 Love this blog and your blog party and have been linking up here for a long time. I keep getting an error message saying that link can't added due to no backlink to this blog. Of course, there is a backlink and has been one here forever. But I took the link out and put it back in just to make sure. Still getting the same message. Anyone have any suggestions for me? Thanks for hosting another great party Kim! Looking forward to seeing what everyone brings! Love the features you chose. As always, thanks so much for hosting Wow Us Wednesday this week. Haven't joined in a while kim, thanks for hosting! Thanks for hosting. Have a great week. I love that bedroom makeover. So pretty. Thank you for hosting. That truck! So yummy! What a beautiful bedroom! Thanks for hosting, Kim! Have a great week! We complained so much about winter and it seemed to last forever. Now it feels like our warmer days are on warp speed! Wishing you a great week and thanks for all you do. Thanks for featuring my skinny margarita and for hosting a great party every week! 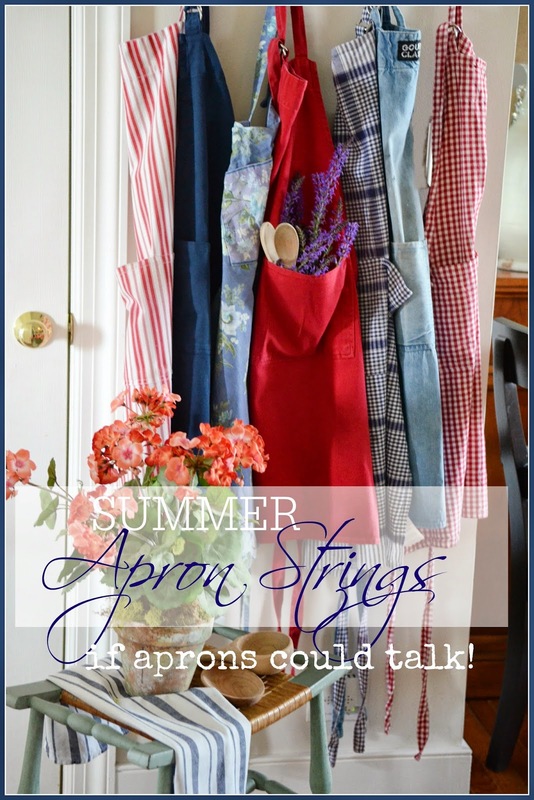 Thanks Kim for giving my Aprons a shout-out! 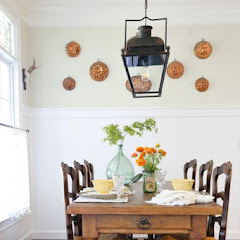 I'm sharing my Beach Chic dining room this week. Don't you love that Vintage red truck! Sigh! Now off to visit and get inspired! Thanks so much for hosting, Kim! And happy June to you too. Enjoy your day! I was late getting into your fun party this week but so happy to join in. Thank you for hosting. Have a great week. Thanks Kim for hosting! Enjoy your week! This year is flying by!! Kids are out tomorrow. Trying to enjoy each day as I only have one more year left until my oldest heads to college. Love those aprons!! I am definitely one of the last apron wearing women! Thanks so much for featuring my project Kim. I'm a big fan of your blog!